Analysts at Atlantic Equities are out with a report this morning upgrading shares of Netflix, Inc. (NFLX) with an ‘Overweight’ from ‘Neutral’ rating. The broker thinks the market is underestimating the company’s opportunity to increase domestic pricing and expand internationally. On valuation metrics, Netflix shares are currently priced at 365.11x this year’s forecasted earnings, which makes them quite expensive compared to the industry’s 12.92x earnings multiple. Ticker has a forward P/E of 94.66 and t-12 price-to-sales ratio of 6.46. EPS for the same period is $0.28. In the past 52 weeks, shares of Los Gatos, California-based company have traded between a low of $58.46 and a high of $133.27 and are now at $102.23. Shares are up 71.74% year-over-year ; down 10.62% year-to-date. 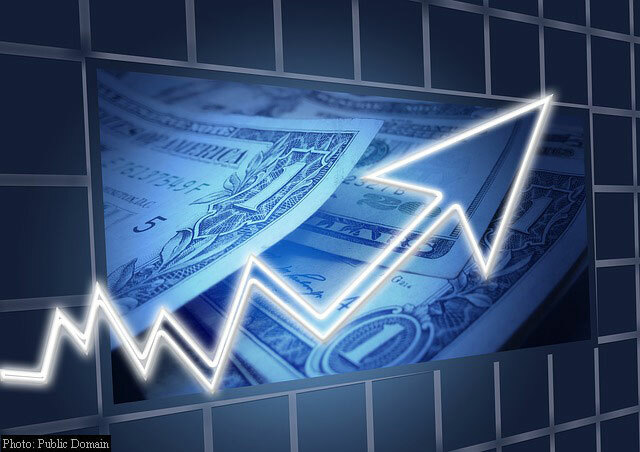 Analysts at Citigroup (C) upgraded their rating on the shares of j2 Global, Inc. (JCOM). In a research note published on Friday, the firm lifted the name with a ‘Buy’ from ‘Neutral’ rating. On valuation measures, j2 Global Inc. shares are currently priced at 22.56x this year’s forecasted earnings, compared to the industry’s 17.72x earnings multiple. Ticker has a PEG and forward P/E ratio of 0.81 and 11.34, respectively. Price/Sales for the same period is 4.09 while EPS is $2.73. Currently there are 4 analysts that rate JCOM a ‘Buy’, 1 rateS it a ‘Hold’. No analyst rate it a ‘Sell’. JCOM has a median Street price target of $97.50 with a high target of $102. Capital One Financial Corporation (COF) was raised to ‘Overweight’ from ‘Neutral’ at JP Morgan (JPM) on Friday. COF is up $0.68 at $69.99 on heavy volume. Midway through trading Friday, more than 4 million shares of Capital One Financial Corp. have exchanged hands as compared to its average daily volume of 2.93 million shares. International Business Machines Corporation (IBM) – The Big Blue had its PT raised to $155 from $135 by RBC Capital Markets analysts on Friday. IBM shares have advanced 12.71% in the last 4 weeks and 9.46% in the past three months. Over the past 5 trading sessions the stock has gained 4.16%. The Armonk, New York-based company, currently valued at $145.53 billion, has a median Street price target of $135.00 with a high target of $168.00. International Business Machines Corp. is down 2.25% year-over-year, compared with a 1.00% loss in the S&P 500.